After a car accident killed her parents when she was a child, Bronagh Murphy chose to box herself off from people in an effort to keep herself from future hurt. If she doesn't befriend people, talk to them or acknowledge them in any way they leave her alone just like she wants. . 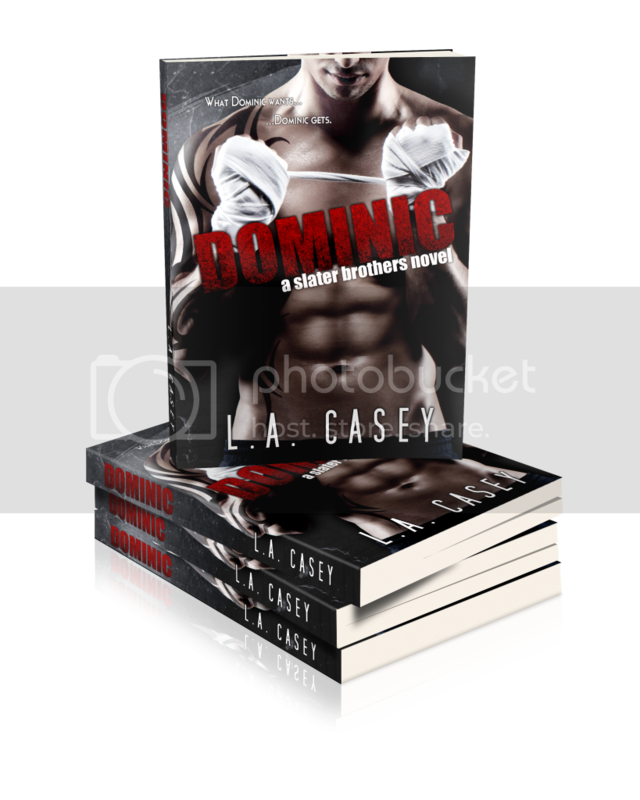 When Dominic Slater enters her life, ignoring him is all she has to do to get his attention. 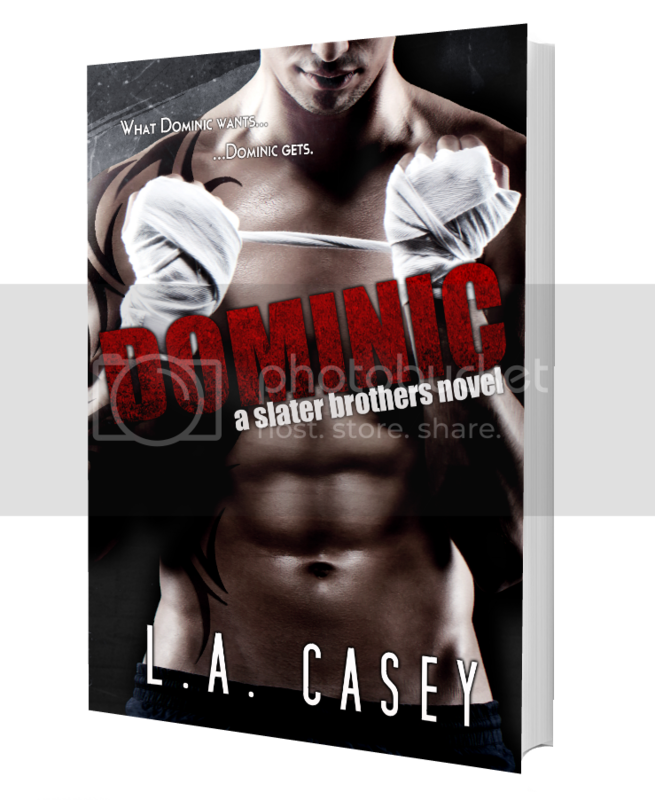 Dominic is used to attention, and when he and his brothers move to Dublin, Ireland for family business, he gets nothing but attention. Attention from everyone except the beautiful brunette with a sharp tongue. . Dominic wants Bronagh and the only way he can get to her, is by dragging her from the boxed off corner she has herself trapped in the only way he knows how...by force. Dominic wants her, and what Dominic wants, Dominic gets. L.A. Casey was born, raised and currently resides in Dublin, Ireland. She is a twenty two year old stay at home mother to an almost 2 year old German Shepherd named Storm and of course, her 4 and half year old (the half is apparently vital) beautiful little hellion/angel depending on the hour of the day. 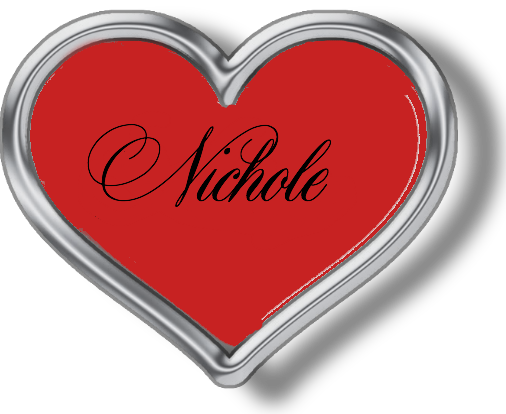 Her first novel, Dominic, will be self-published, on March 17th, 2014.